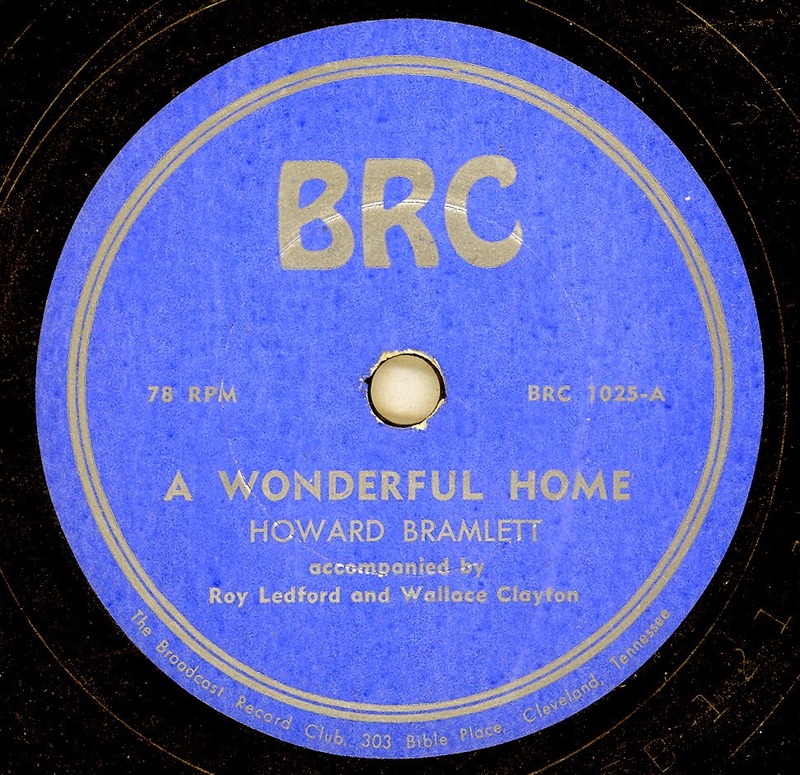 The BROADCAST RECORD CLUB, or BRC as it was marketed, was based at 303 Bible Place, Cleveland, Tennessee. 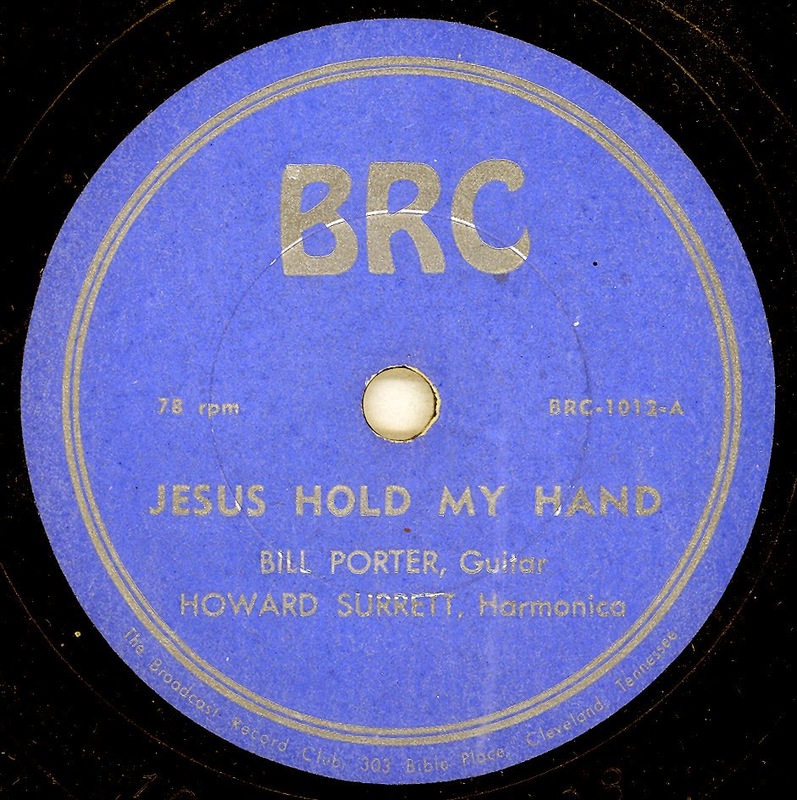 The label seems to have started sometime in 1952 (BRC 1002 is a Capitol custom pressing dating from July 1952). How this "Club" worked is a matter for speculation, assuming that the records were issued at regular intervals, there would have been 26 releases over a period of three and a half to four years, which works out to be something like two release, or three if BRC 1001 is included, in 1952, and then eight releases a year thereafter. As you can see from the flip side of BRC 1025, by The BAHAMA'S BRASS BAND, material was taken from a variety of diverse sources. 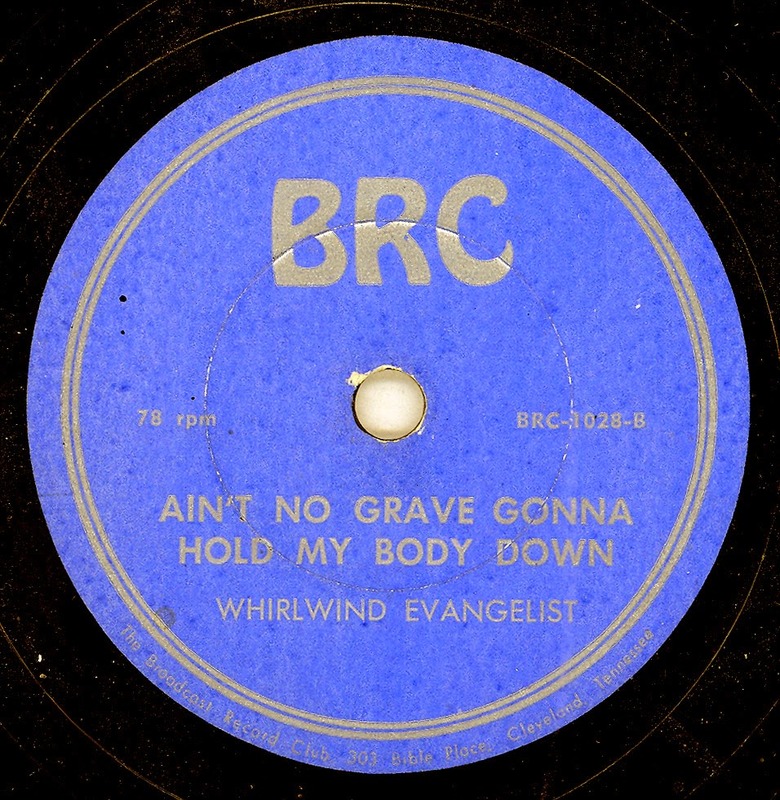 Some of the artists who recorded for BRC were familiar names in the Gospel fraternity, although the occasional typographical errors obscured the artist in question, take for example the WHIRLWIND EVANGELIST, is presumably The Whirlwind Evangelists who re-recorded "Ain't No Grave" for FORTUNE twelve months of so later, and is Howard Surrett, the Howard Seratt who recorded for both SUN and ST FRANCIS? Just when you think you’re getting a grip on things something comes along to disabuse you of that notion. Where do you start with the BARNE’S label? it appears to be the second release on the label, assuming that is that there is / was a release at 101 / 102, but that of course could be misleading and the issue numbers 103 / 104 were applied to this record to give the impression that this was a label with at least one other record under its belt! Whilst you muse over the various options for the BARNE'S record let me introduce you to yet another mystery. Whilst perusing a copy of BILLBOARD’S 1949 Disc Jockey supplement, in particular the section entitled “Folk Recording Artists And Their Labels” I found a list of artists which hitherto I had not associated with the labels they were supposed to have been recording for. 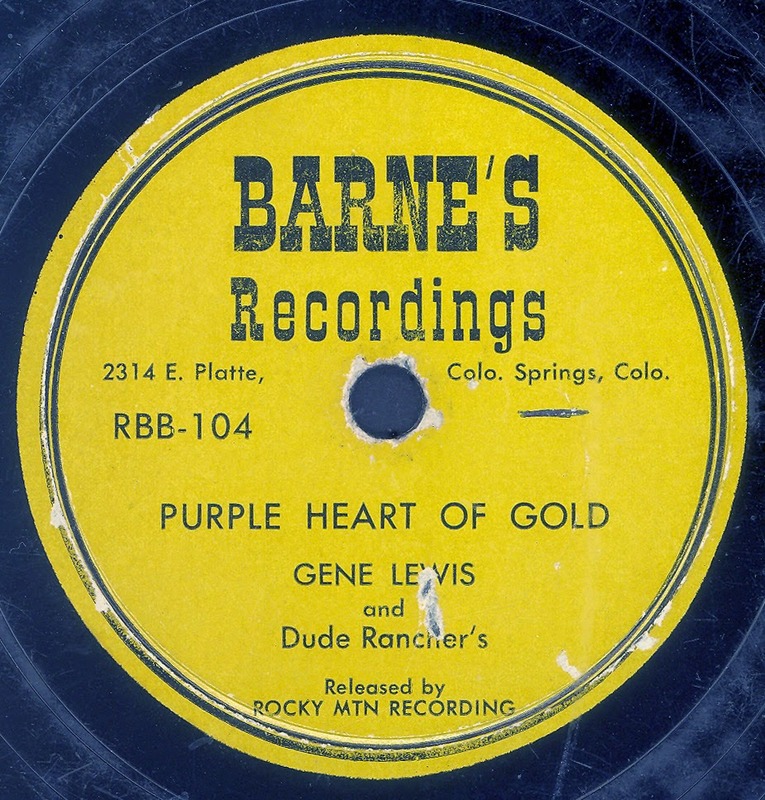 This list, compiled from reports submitted by recording companies (dated September 1949), may contain artists who were inked to a particular label but their recordings were never issued, or perhaps the individuals concerned, or the groups mentioned, were either uncredited vocalists or anonymous backing groups for some of the named artists who we know recorded for the recording company in question. 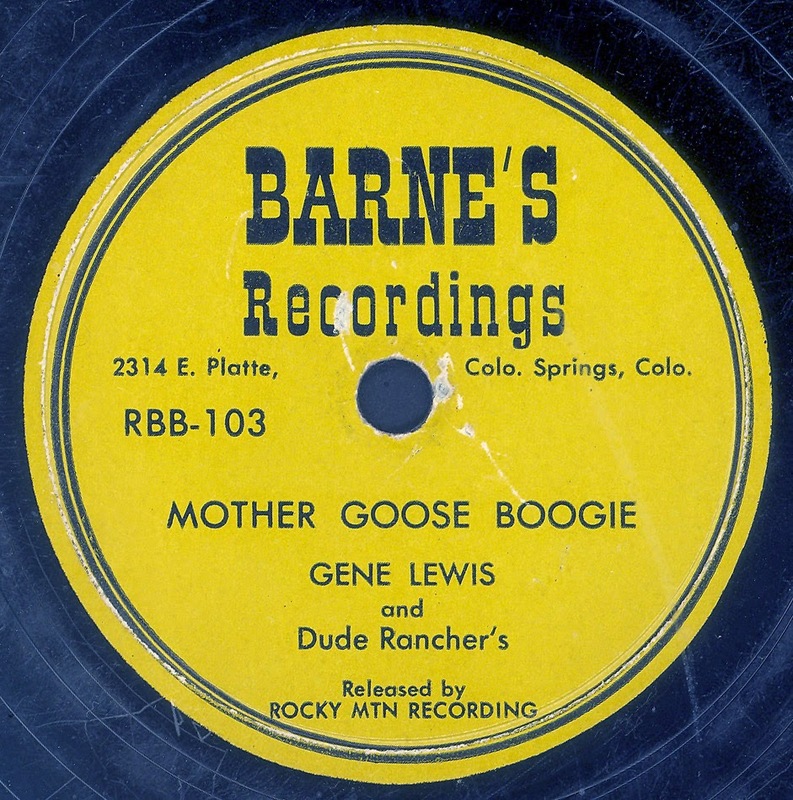 Neither recording featured here could be described at any stretch of the imagination as Country or Hillbilly, yet each is relevant in its own way. The first is an instrumental “Boogie Square” released in STARDAY’s 1000 “Square Dance” series. This recording, judging by the master numbers, dates from sometime around mid 1954. 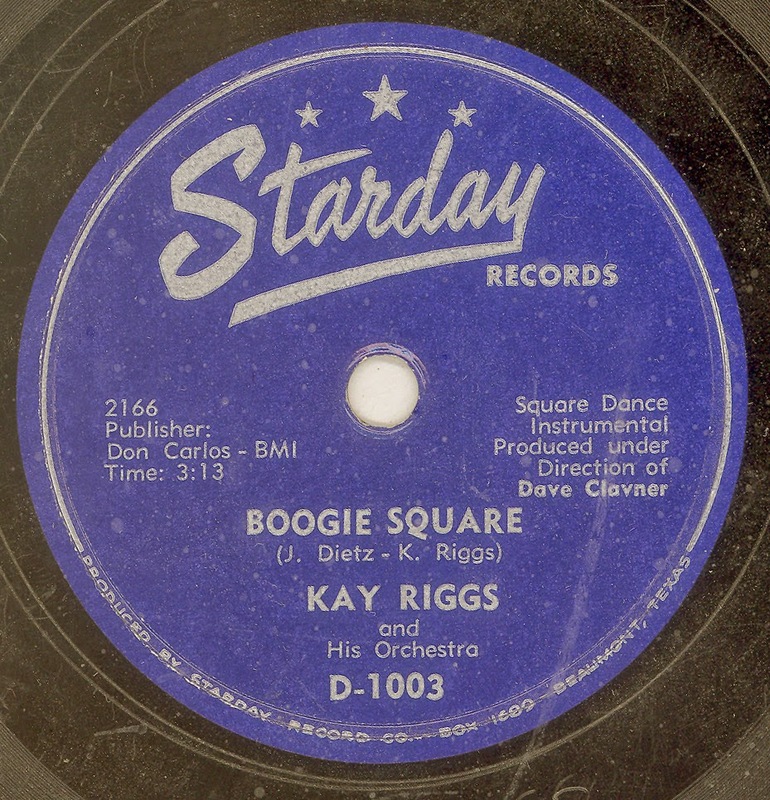 “Boogie Square” was also issued with Calls on STARDAY D-1002 (Master number 2167) credited to “BUZZ” BROWN With KAY RIGGS AND HIS ORCHESTRA. 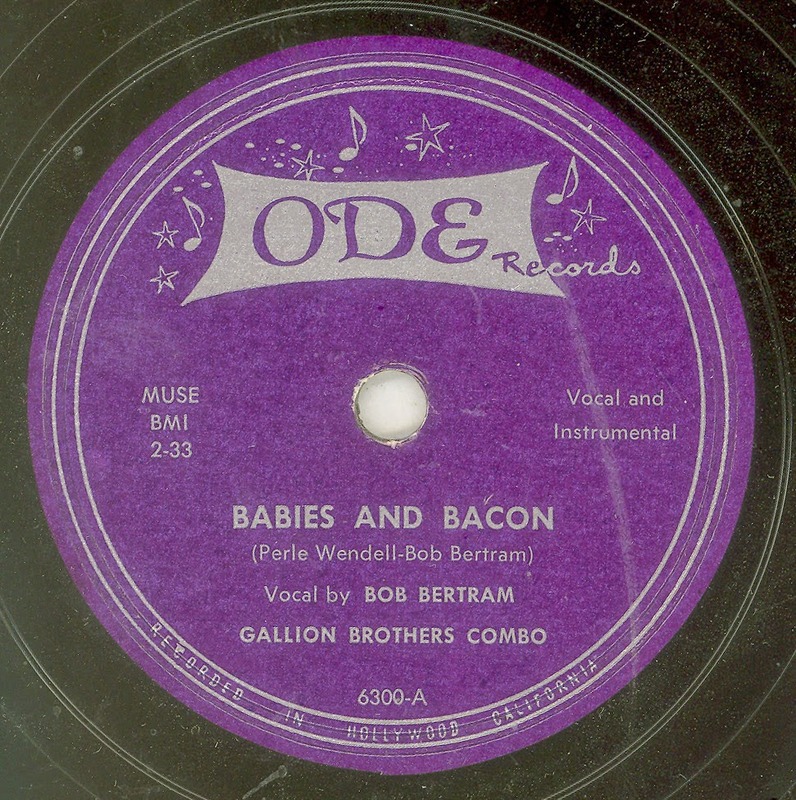 Bob Bertram, who one assumes is the same Bob Bertram who owned the BERTRAM INTERNATIONAL label, offers the original version of “Babies And Bacon” which was covered by Roy Hogsed on CAPITOL. The flip side of “Babies And Bacon” is “Your Just My Style” another song that was covered by Roy Hogsed for CAPITOL. Both songs can be best described as POP, I have not recorded “Your Just My Style” due to the prominent organ throughout .